Vote early and vote often for your choice in the 2015 Streetsie poll for the Deborah Murphy Award for Excellence in Advocacy. This award is named after Deborah Murphy, founder and motivating force behind L.A. Walks. Murphy serves on the steering committee for Streetsblog L.A.
Voting starts now and will close on Tuesday, January 5, 2016 at noon. Reader voting accounts for one-half of the scoring this year, with one-quarter going to SBLA staff voting, and another one-quarter going to a SBLA board vote. 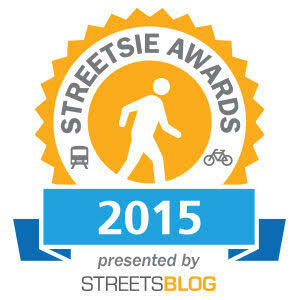 Vote for all six Streetsie polls (one more coming later today) at this link. Adonia Lugo – Adonia Lugo is an anthropologist whose focus is bicycle culture. She has chronicled the histories of Los Angeles’ bicycle movements in her dissertation, articles, books, and a timeline. 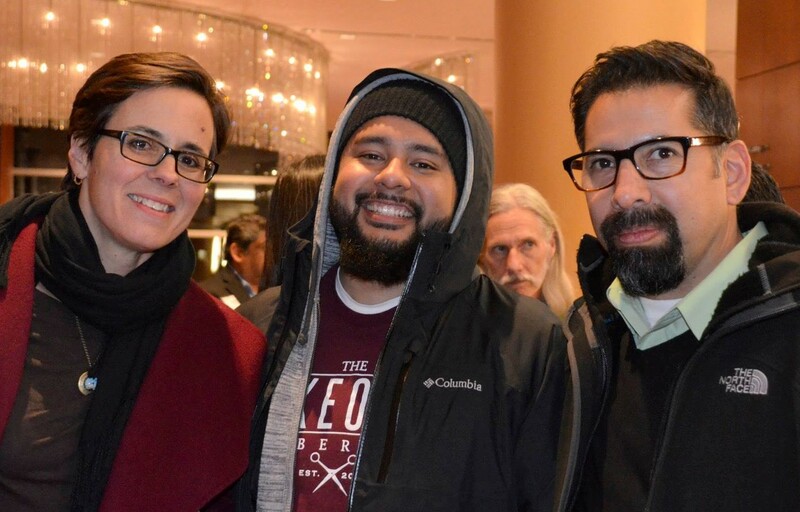 Lugo was one of the people who actually founded CicLAvia, after she traveled to observe Ciclovía in Bogota Columbia. 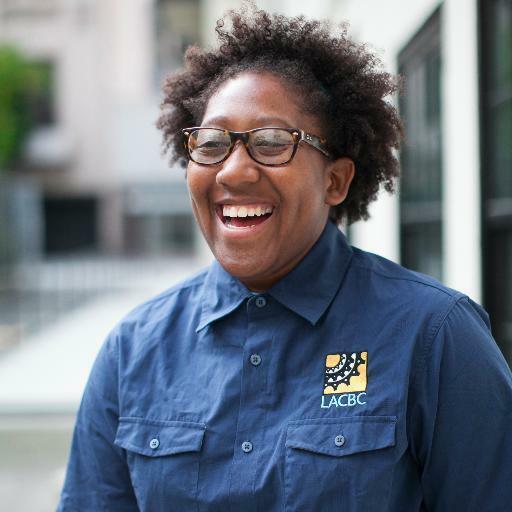 She is also one of the people who started the L.A. County Bicycle Coalition’s City of Lights program. She founded the Bicycle Equity Network, and worked in Washington D.C. for the League of American Bicyclists. Dr. Lugo is now back at the Los Angeles Eco-Village, active with Multicultural Communities for Mobility, and teaching Urban Sustainability at Antioch University Los Angeles and the Chicana/o Studies at Cal State L.A.
Tamika Butler – When it was announced that Tamika Butler would be the next Executive Director of the Los Angeles County Bicycle Coalition at the end of 2014, there was one concern that continued to bubble up in some of the biking community’s more traditionalist ranks: would her focus on equity “distract” from the mission of the LACBC? To those who see equity as the right of everyone to have equal and safe access to streets, the question was laughable. But only a most extraordinary person could find a way to keep the organization focused on its core mission while broadening the approaches and frameworks used to pursue it (and managing to win folks over in the process). Butler has no doubt been that person, and then some. In making a commitment to taking on equity as an organization, Butler has opened the door for the LACBC to build new relationships in the corners of the city where mobility issues are intricately linked to issues of affordability, economic opportunity, and security in the public space. 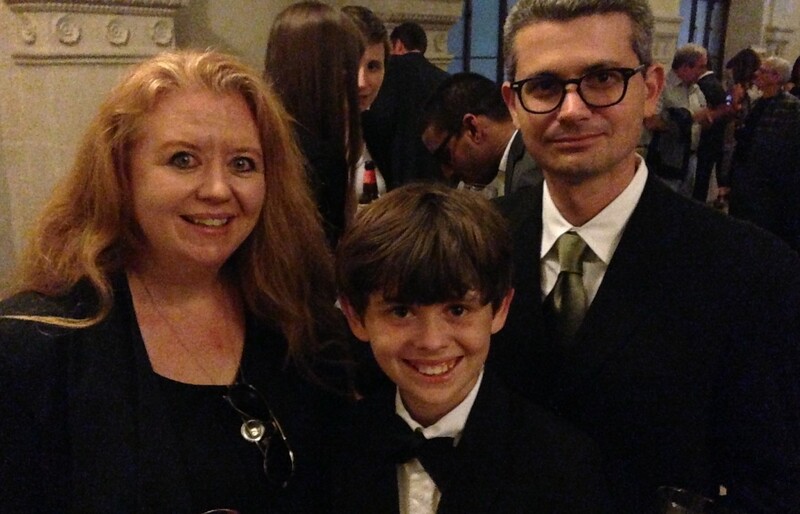 Matlock Grossman – Cyclist Matlock Grossman is only eleven, but he made waves by speaking his extraordinarily articulate mind at a September public forum on Rowena Avenue road safety. 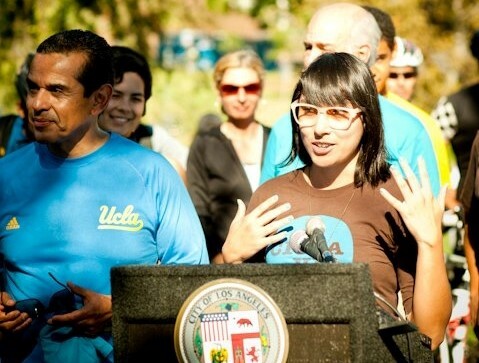 Since then, Grossman has taken to TV, delivered a speech to open CicLAvia, presented the Bicycle Coalition’s award to former L.A. Mayor Richard Riordan, and declared his own candidacy for mayor of Los Angeles, circa 2030 or so. Mattie Grossman is a bright new presence on the L.A.’s bike advocacy scene, and if he does not win this year, we expect he is likely win in the future. Mark Lopez – The third generation in his family to have battled against Exide and other toxic industries in the area, Mark (mark!) Lopez, Executive Director of East Yard Communities for Environmental Justice, says he organizes in the community where he was raised “so that the fourth generation doesn’t have to.” While EYCEJ has consistently taken on battles ranging from the 710 Corridor Project, to toxic rail yards, his leadership in the fight to hold lead-acid battery recycler Exide (as well as the relevant state agencies) accountable for lead contamination of as many as 10,000 homes has been exemplary. Not only has EYCEJ made extraordinary efforts to organize and inform residents of potential harm in the affected communities under his direction, but as co-chair of the Exide Technologies Advisory Group, Lopez has worked to ensure that the health and concerns of those residents remain front and center as state agencies hash out how they will undertake the most extensive lead cleanup of its kind in California. 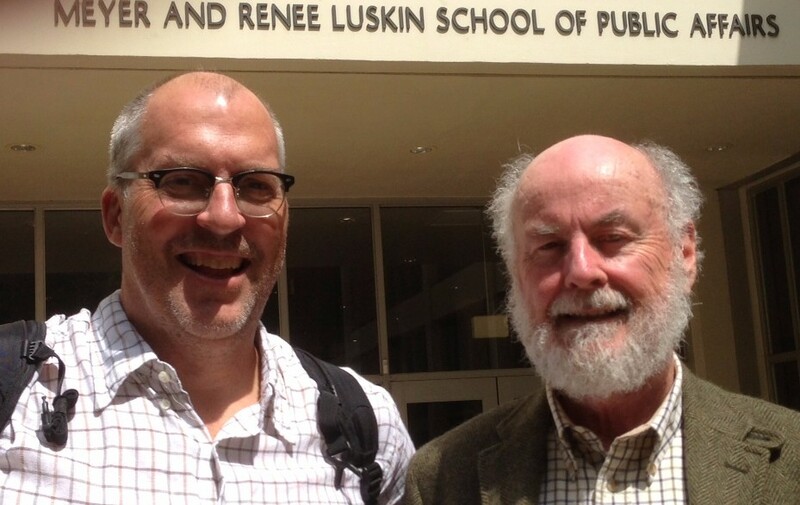 Donald Shoup – Don Shoup is a professor who has amassed an amazing breadth of knowledge on parking, most particularly how doing the parking thing wrong really screws up cities, walkability, affordable housing, the environment, the economy, and lots of other good things. His book The High Cost of Free Parking will change the way you see the world, and will probably convert you into a Shoupista. Shoup retired from UCLA this year, but he remains very active, and his ideas are catching on all over the world, including in seemingly unlikely places like Los Angeles. Alas if you do try to “vote often” it will tell you that you already voted in this poll. So it’s limited to one vote per browser per cookie/private session. How do we vote? I can vote in the other categories, but not in this one. so sorry… there was a date mix-up that closed it early. it’s fixed. vote away! Vote for 2016 advocate of the year: Untokening, Luke Klipp, Michael MacDonald, Lewis MacAdams or Romel Pascual. Congratulations to Councilmembers Bonin, Harris-Dawson, and Huizar, Phil Washington, Bicycle Transit Systems, Zachary Rynew, Luke Klipp, and Bike SGV!